← Activities to Deepen the Bond with Your Dog? The American Kennel Club’s Canine Good Citizen blog recently posted excellent tips for introducing Children to Dogs, entitled, “What to Do When a Child is Afraid of Your Dog.” I’d like to add, taking time with the child and dog are important too. Sometimes people try to rush things. It’s important that the child and dog are comfortable with the greeting. If the child isn’t ready to touch the dog, perhaps the child is ready to interact with the dog in other ways. For example, the child could toss treats to the dog while an adult holds the dog by the collar and leash to prevent the dog from lunging out of excitement. Or, rather than petting, perhaps the child is able to have the dog calmly sniff their hand or simply just sit near the dog. And, the same goes for adults as well. Once while walking a dog in Canton, Michigan; I came across an adult who was terrified of dogs. She asked if she could sit next to the Bernese Mountain Dog that I was training as part of a board and train program. On her comfort level and time, she was able to go from standing behind the dog who was laying on a park bench to standing next to the dog in front of the bench to sitting at the other end of the bench to finally sitting next to and touching and later petting the dog. It was a wonderful sight to see her gain confidence over a life long fear. She said she had never petted a dog before because she had always been afraid of them. And, due to cultural beliefs, her parents had discouraged her from petting dogs. She thanked me for allowing her to pet the dog but truly I was the thankful one. It was a true honor to experience with her, her joy of petting her very first dog! Do you have other stories of people overcoming their fear of dogs? 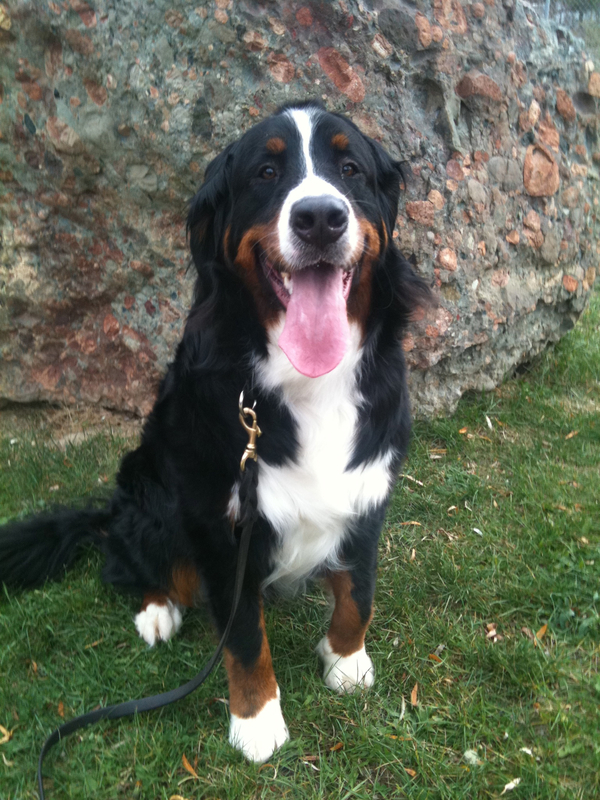 This entry was posted in Dog Training Tips, Uncategorized and tagged Bernese Mountain Dog, board and train, Canton, Child, dog, dog training, fear of dogs, Michigan, Pet. Bookmark the permalink.